If you happen to live in an area where US Cellular is offering services, you should know that the fifth largest American mobile carrier just announced a super deal that includes virtually all the smartphones in its line-up. More exactly, US Cellular is taking up to 50% off all its handsets, including the brand new Samsung Galaxy S10e, Galaxy S10, and Galaxy S10+ (these will be released on March 8, but you can already pre-order them). This US Cellular deal is available for both new and existing customers. You don't have to trade in an old phone to qualify, but there are some requirements that need to be met, starting with the fact that your new phone has to be bought with a 30-month Retail Installment Contract. New customers have to subscribe to a Total Plan (starting at $45 per month), while upgrade-eligible existing customers are required to opt for a Total Plan with Unlimited Plus Data ($75 per month) and Device Protection+ (starting at $9.99 per month). Thanks to this deal, you can buy a Samsung Galaxy S10e or an iPhone XR for only $12.28 per month (a total of $345 after 30 months) - that's half the regular price. 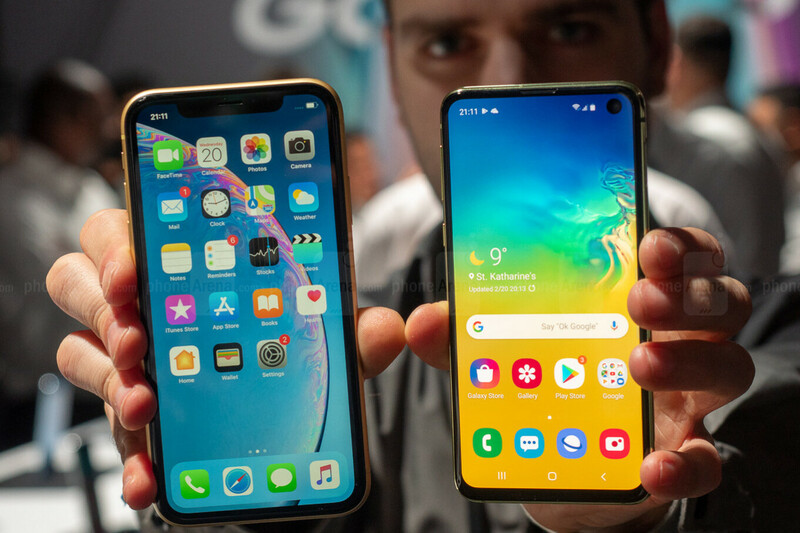 More expensive handsets are not 50% off, but savings on them are still substantial - for example, US Cellular is taking $375 off the Samsung Galaxy S10 and S10+, and $374.5 off the Apple iPhone XS and iPhone XS Max. According to US Cellular, its new smartphone deals are valid starting today, February 26, through March 19. You should visit US Cellular's website here for more details and a complete list of handsets that are currently discounted. In case you aren't sure if US Cellular has a presence in your area, you can use this store locator. This is pretty decent. I kind of wish that US Cellular was available in my area. 2 and a half years with the same phone? Meh, not for me, but may be good for others. It's not that great of a deal. I get 375 off the phone yes. But I'm required to carry the insurance for 30 months which starts at 10$. So I pay 300$ over the 30 months and in the end only save 75$. I'll stick to Sprint's LOGO or AT&T and Verizon's BOGO. Thanks though. (I don't carry insurance on my phones, you break it you get a flip till you can afford to replace it).